There isn’t much that is more infuriating as a parent than hearing and seeing your children bicker and fight constantly. 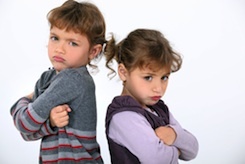 If you had siblings close in age growing up, you likely remember having your older brothers or sisters pick on you or having your younger brothers and sisters constantly annoy you. As families grow, rarely are the children in the house consulted for their opinion or given the opportunity to say, “No, I do not want a sibling,” so it should be no surprise to parents that these little people who are forced to live in the same house, share the same toys and often sleep in the same room will argue from time to time. In fact, when siblings are never at odds it might be a sign that they are not forming a strong connection. It is through disagreements with siblings that children learn important life lessons, which can ultimately bring them closer together. 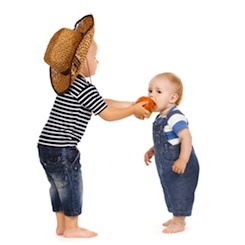 Though some sibling rivalry is inevitable and healthy, there are some ways that you can ease the tension when fights break out and help the children learn to work together to avoid some of the arguments. 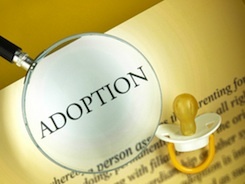 Individualize your children – including multiples. Each child is a completely different person, with strengths, weaknesses and things they love. Be sure to encourage that individuality in them. Spend one-on-one time regularly with each child, letting him choose what you do together. Point out the areas in his life that you see him excelling in as well as the things you see him struggling with. Encourage him when he sees his sibling doing something better than him, pointing out the things he does really well too. Model how to compromise and encourage your child to make concessions with you from time to time. As you go through your day to day life, work with your child to make small but noticeable compromises with him, pointing out what you are doing. Then, when he does not get his way, point out that he is compromising too. Let them each have their own space and their own toys that they are not required to share with anyone. To a parent, the toys collected by children may seem like junk, but to a child they are the things that help form his identity. It is important that your child has a safe place to be when he senses that he needs to be alone. If you sense that a child is under a lot of stress, you can encourage him to walk away from his siblings for a while and play or read by himself instead of letting the situation escalate into a fight. Avoid continuously separating your children to fix the disagreement. It can be very tempting to do this in order to keep the peace. However, separating your bickering children every time they are in the middle of a fight sends the wrong message. 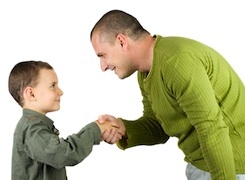 It tells your child that when he does not get along with his sibling, he does not have to deal with the dispute. 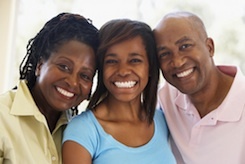 There may be times it is appropriate for your children to spend some time apart for a short time, however, you must always bring them back together to discuss the situation when they have calmed down. Try to avoid entering into the argument. The majority of the time, the best thing to do during a sibling fight is to let them work it out. Chances are one or all of your children will try to drag you into the discussion. If you do get involved, limit your participation to words of advice. Give suggestions to each child on how he might approach the situation. “Have you tried to offer Lilly a different toy to see if she would be ok with it?” or “It might be a good idea to explain to Joey why you really want to use that toy”. Discipline physical fighting as you would if the child got physical with another child outside of the family. If your child was on the playground and physically hurt another child, what would you do? It is no different when he hurts one of his siblings. If physically hurting another child is inappropriate for your child to do, that includes hurting his sibling. Avoid asking your older child to be your eyes for your younger child. This causes tattling. This starts out innocently enough when your children are younger, but it can quickly turn into your older children feeling he has the right to tell you every tiny transgression your younger child is up to. This causes resentment and frustration for everyone. Don’t just listen to the “loudest” of the group and assume everyone else is in the wrong. Parents frequently hear loud cries from another room and jump to the conclusion that the child that was yelling was wronged. Find out the whole story before assuming this, because often children learn to use this to their advantage. Bringing a new baby home for the first time is an exciting moment in any woman’s life. In the weeks leading up to the grand arrival, however, the sheer volume of baby-preparation items on your to-do list can be staggering. 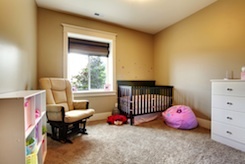 One of the most important things on that list is making sure that your baby’s room is properly childproofed so that it’s truly the soothing sanctuary a nursery is intended to be. Before your baby is born, or when she’s still a very small infant, baby-proofing can seem like a task that’s easily put off. After all, it’s not like a newborn is particularly mobile, right? Actually, knocking out your childproofing chores before the baby arrives or when she’s still very small is a good idea. Babies reach milestones more quickly than you realize and time will be at a premium from the moment you bring your new baby home. Making sure that her room is safe, even when she’s too young to properly explore it, is a smart move. Choosing the bedding and décor scheme for your new baby’s nursery is one of the high points when it comes to preparing for your bundle of joy’s arrival. Thick blankets, fluffy pillows and plush toys, however, are actually discouraged strongly by the American Academy of Pediatrics, and entire cities have banned crib bumpers due to their link to Sudden Infant Death Syndrome. If you just can’t resist creating a nursery worthy of a magazine layout, remember to remove everything from the crib before putting your new baby down for a nap. Making sure that the sun isn’t shining on your baby’s small, delicate face while he’s trying to sleep is an admirable effort, but you’ll also want to make sure that his crib is situated far enough from windows that he can’t access it, and that the cords on the window treatments are properly secured. Dangling cords and tie-backs can present a strangulation risk when your baby gets older, so this is one baby-proofing step you certainly don’t want to miss. Baby items are expensive, and a fully-stocked nursery requires a lot of them. There’s nothing wrong with saving money by opting for second-hand gear or with preserving a sense of tradition by using heirloom items. What you will want to do, however, is ensure that all of those items meet modern safety guidelines and that any paint on them isn’t lead-based. The wall color of any room sets the tone for the entire space, so it’s natural that you’ll want to start painting the nursery as soon as possible. Making sure that your baby won’t be exposed to potentially hazardous chemicals needs to be a priority, though. Choosing paints that are low in volatile organic compounds is advised, as the chemicals found in traditional paint have been linked to everything from asthma to certain types of cancer. Electrical outlets are fascinating to little ones, and they’re incredibly dangerous. Making sure that all the outlets, especially those that are within Baby’s reach, are outfitted with childproofing covers is the most effective method of ensuring that she doesn’t hurt herself. There’s a reason why the lines on most nursery furniture are rounded. When your baby starts crawling and eventually learning to walk, he’ll encounter his share of falls along the way. Colliding with a hard, rounded surface is still likely to be painful, but not as harmful as landing on a sharp corner that can cut into delicate skin. If you’ll be plugging lamps and other electrical items into the wall outlets, be sure that all of the cords are properly secured. It’s easy for a baby to pull these things down onto himself when he’s looking for leverage to stand or simply curious about what will happen when a cord gets a sharp tug. Placing cords behind furniture so that Baby’s inquisitive fingers aren’t able to access them and securing loose ones so that they’re not dangling attractively is wise. The last thing you want is for a fire escape route out of your baby’s room to be blocked, but you also don’t want him to take a tumble out of an open window. Even a fall from a first-floor window can be dangerous for such a small person, so consider the installation of window guards on any window that isn’t part of your fire escape plan.